When you start a new job, it sort of takes a while before you start to really get to know everyone. I think it helps to do things outside of work, but that can cause problems as well. It’s a fine line, I’m guessing. My coworkers and I went out one night after work to a bar to have a few drinks and just hang out. They ended up telling me that our IT guy’s son is a guitarist in a band, they told me the band name and I started following them on Facebook. I even listened to a demo and liked it, but didn’t really pursue it further than that. It wasn’t until this week that I noticed posts that they were releasing their debut album, State of Mind, and it was coming out on Friday. I ended up finding an article on Thursday where they streamed the entire album, and I listened to the whole thing. It is amazing and I fell in love instantly! I haven’t heard an album that I loved this much in a long time. I went straight to iTunes and ordered it, so now I’ve listened to the whole thing a few times. I love the singers voice and the guitar riffs. I haven’t found a song on the album that I don’t like. Our IT guy says they don’t have plans to come to Utah on this tour, but I’m hoping they make it here soon. The hard part about finding a band so new, though, is that no one has posted the lyrics. I was going to just post the song without the lyrics, but this is Song Lyric Sunday, so I feel like I have to have the lyrics. I’ve decided I’m going to write them out while listening to the song so I can have a semblance of an actual post for you (brings back memories of when I used to do that as a kid!). The video I found is an acoustic version of the song. I hope you enjoy it as much as I do, and if you do, check out the whole album. You won’t regret it! 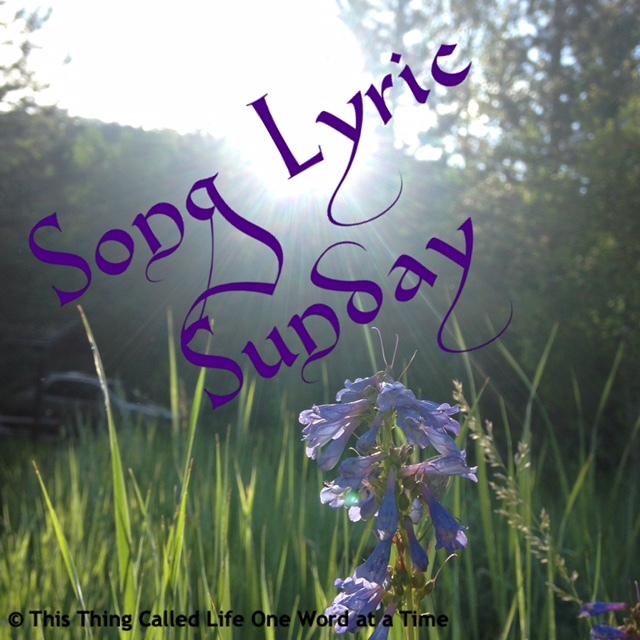 The Song Lyric Sunday theme for this week was to share a song you’ve heard recently for the first time and fell in love with. It is open to anyone who wants to share music, so please feel free to click the link, read the rules and post one of your own. It’s always great to support an upstart band. I wish them success. They have good stuff it seems like. Lovely to discover new music and musicians. A bonus when there is a direct link, however remote that may be. Wow! I love it, Helen. I’ll definitely be looking them up! 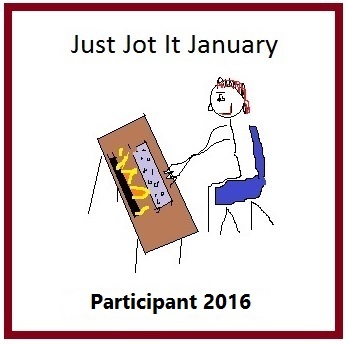 😀 Thanks so much for sharing this! Of course! I’m totally geeked about them. I’m in love with the whole album! Really good – thanks for sharing. Hope they do well! Very cool song! Thanks for sharing. I am going to try and chime in with a blog post of my own on a new song I just heard yesterday too. I hope it gets to all the right places or place it needs to be. Thanks for hosting this event. I’m happy you like them. I love the whole album so much. What a wonderful way to discover new music and talent. They’re so good! I’m happy you like them. I’ll check your out too. Thank you!